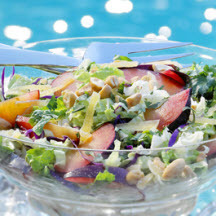 CooksRecipes has quality, kitchen-tested recipes for delicious coleslaw salads made with a variety of shredded vegetables. 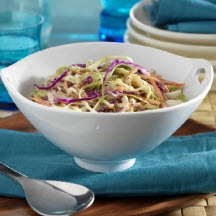 This crunchy slaw blends the crisp texture of jícama and red cabbage with the mild zip of green chiles in an unexpected variation of traditional coleslaw. Recipe courtesy of California Tree Fruit Agreement. 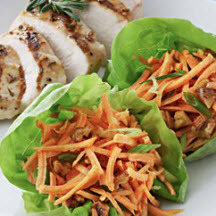 Recipe courtesy of the North Carolina Sweet Potato Commission.